The Fourth Amendment to the United States Constitution is a section of the Bill of Rights that protects the people from being subjected to unreasonable searches and seizures of property by law enforcement officers or the federal government. However, the Fourth Amendment does not prohibit all searches and seizures, but only those that are found by a court to be unreasonable under the law. The Fifth Amendment, as part of the original 12 provisions of the Bill of Rights, was submitted to the states by Congress on September 25, 1789, and was ratified on December 15, 1791. Originally created to enforced the doctrine that “each man’s home is his castle,” The Fourth Amendment was written directly in response to British general warrants, called Writs of Assistance, in which the Crown would grant overarching, non-specific search powers to British law enforcement officials. What Are ‘Unreasonable’ Searches Today? In deciding whether a particular search is reasonable, the courts attempt to weigh important interests: The extent to which the search intruded on the individual's Fourth Amendment rights and the extent to which the search was motivated by valid government interests, such as public safety. Through several rulings, the U.S. Supreme Court has established that the extent to which an individual is protected by the Fourth Amendment depends, in part, on the location of the search or seizure. Searches in the Home: According to Payton v. New York (1980), Searches and seizures conducted inside a home without a warrant are presumed to be unreasonable. Court ruled that when police officers see “unusual conduct” leading them to reasonably conclude that criminal activity may be taking place, the officers may briefly stop the suspicious person and make reasonable inquiries aimed at confirming or dispelling their suspicions. In practical terms, there are no means by which the government can exercise prior restraint on law enforcement officials. If an officer in Jackson, Mississippi wants to conduct a warrantless search without probable cause, the judiciary is not present at the time and can't prevent the search. This meant that the Fourth Amendment had little power or relevance until 1914. In Weeks v. United States (1914), the Supreme Court established what has been known as the exclusionary rule. The exclusionary rule states that evidence obtained through unconstitutional means is inadmissible in court and cannot be used as part of the prosecution's case. Before Weeks, law enforcement officials could violate the Fourth Amendment without being punished for it, secure the evidence, and use it at trial. The exclusionary rule establishes consequences for violating a suspect's Fourth Amendment rights. The Supreme Court has held that searches and arrests can be performed without a warrant under some circumstances. 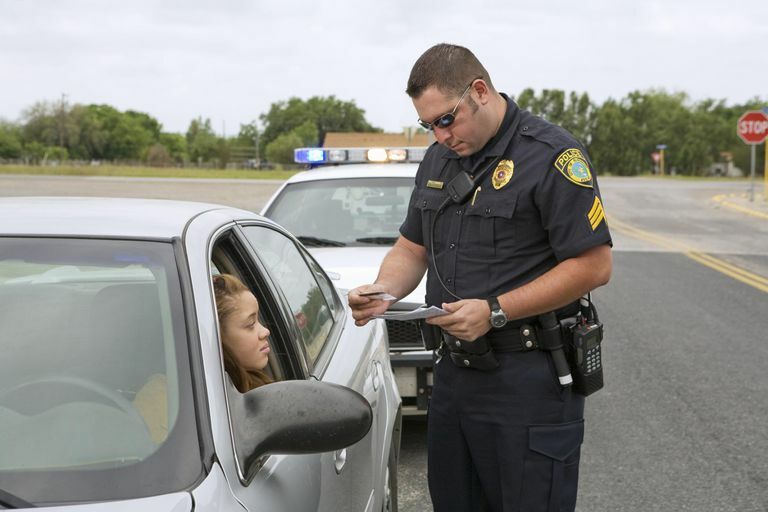 Most notably, arrests and searches can be performed if the officer personally witnesses the suspect committing a misdemeanor, or has reasonable cause to believe that the suspect has committed a specific, documented felony. On January 19, 2018, U.S. Border Patrol agents — without producing a warrant to do so — boarded a Greyhound bus outside the Fort Lauderdale, Florida station and arrested an adult female whose temporary visa had expired. Witnesses on the bus alleged that the Border Patrol agents had also asked everyone on board to show proof of U.S. citizenship. In response to inquiries, the Border Patrol’s Miami section headquarters confirmed that under the long-standing federal law, they can do that. within a reasonable distance from any external boundary of the United States, to board and search for aliens any vessel within the territorial waters of the United States and any railway car, aircraft, conveyance, or vehicle, and within a distance of twenty-five miles from any such external boundary to have access to private lands, but not dwellings, for the purpose of patrolling the border to prevent the illegal entry of aliens into the United States. The Immigration and Nationality Act defines “Reasonable distance” as 100 miles. Although the implicit privacy rights established in Griswold v. Connecticut (1965) and Roe v. Wade (1973) are most often associated with the Fourteenth Amendment, the Fourth Amendment contains an explicit "right of the people to be secure in their persons" that is also strongly indicative of a constitutional right to privacy.